The port of Galveston closed to all marine traffic prior to Hurricane Harvey making landfall and remained closed until today. This caused Royal Caribbean and Carnival Cruise Line to alter several sailings scheduled to use the port. Below is important information for passengers on the current or next sailings of impacted ships from Carnival and Royal Caribbean. Current Status: the Port of Galveston/Galveston Ship Channel is now open to vessels with less than 33ft draft limited to daylight. The Port’s administration offices will be closed today, Thursday, August 31st and will reopen on Friday, September 1st. The Port Police and the Incident Command Post will remain open. Carnival Valor and Carnival Freedom departed New Orleans this afternoon and have resumed course to Galveston. Carnival Breeze will overnight in New Orleans today and will start making her way to Galveston on Thursday evening. The Port of Galveston has reopened with certain operating restrictions. Carnival Freedom is expected to dock on Friday and debark guests from its previous cruise. Embarkation for the September 2 voyage will take place on Saturday. Carnival Valor will also arrive in Galveston on Friday to disembark guests. As previously mentioned, the August 31 sailing of Carnival Valor has been cancelled. However, the September 4 sailing will operate as scheduled. Carnival Breeze is scheduled to arrive on Saturday morning to disembark guests from the previous cruise. 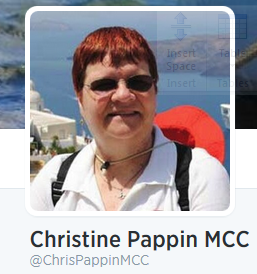 Embarkation for the September 3 sailing will take place on Sunday. We are in the process of finalizing docking and check-in times for this weekend’s sailings. We will update this page as soon as our plans have been confirmed. To stay up to date on any changes that may affect your upcoming cruise, we encourage you to sign up for text alerts by texting the codes below to CRUISE (278473). We received some good news from the Port of Galveston yesterday. The U.S. Coast Guard has opened the Port to vessel traffic in specific areas. Port officials anticipate Liberty of the Seas should be able to return to Galveston on Friday morning. Houston airports are also slowly getting back up and running. Authorities at George Bush International Airport and Hobby Airport expect to resume full service by this weekend. We will continue to monitor both airports and encourage you to visit www.fly2houston.com for the most up-to-date information. If you are driving to Galveston, you can check the latest information on road conditions at the Texas Department of Transportation website – http://conditions.drivetexas.org/current. 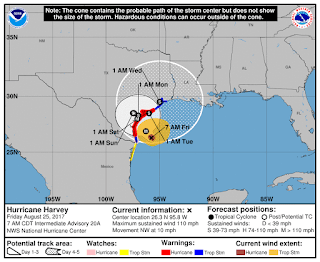 James Van Fleet, Chief Meteorologist for Royal Caribbean International, continues to keep an eye on the situation in the Galveston/Houston area. We understand that some guests may not feel comfortable joining the ship on Sunday, September 3, once we arrive to Galveston. If you have any questions about your upcoming Liberty of the Seas sailing, or if you are coping with significant storm impacts that affect your ability to take your cruise, please call us at 1-800-256-6649.
available at hurricanes.gov. This is a life-threatening situation. 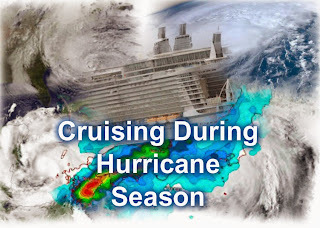 ITINERARY UPDATES August 27, 2017 Royal Caribbean International is diverting Liberty of the Seas to Miami until conditions at the Port of Galveston permit safe travel. Due to port closure because of Hurricane Harvey, Liberty was not able to make her scheduled arrival into Galveston today. We anticipate Liberty will be able to return to Galveston on Friday, conditions permitting. We are doing all we can to help guests adjust their travel arrangements and appreciate their patience as we work through this. The next sailing of Liberty of the Seas, scheduled for Sunday, August 27 has been cancelled, and all guests will have their fares fully refunded and have been provided a future cruise credit. If you have any questions, please do not hesitate to contact us at 1(866) 562-7625. Carnival Valor and Carnival Freedom are currently keeping a safe distance from the storm as they make their way back to Galveston. Carnival Breeze is currently docked in Cozumel and will now overnight there. The ship will depart for Galveston tomorrow afternoon to be in position to debark guests when the port reopens. The Port of Galveston is closed to all marine traffic. It is expected to remain closed until the storm has passed and a port assessment has been completed. Please do not proceed to the cruise terminal until you have heard from us. Our intention is to dock in Galveston as soon as port officials have reopened the port. The duration of your cruise will have to be shortened and the itinerary modified. Cruise details will be finalized once we have confirmed our arrival into Galveston. Guests who sail will receive a pro-rated refund of their cruise fare for missed days and refund of any pre-purchased Carnival Adventures for canceled ports. Additionally, guests who pre-purchased any of our beverage packages will receive a pro-rated refund. Gratuities will also be adjusted to reflect the shortened duration. 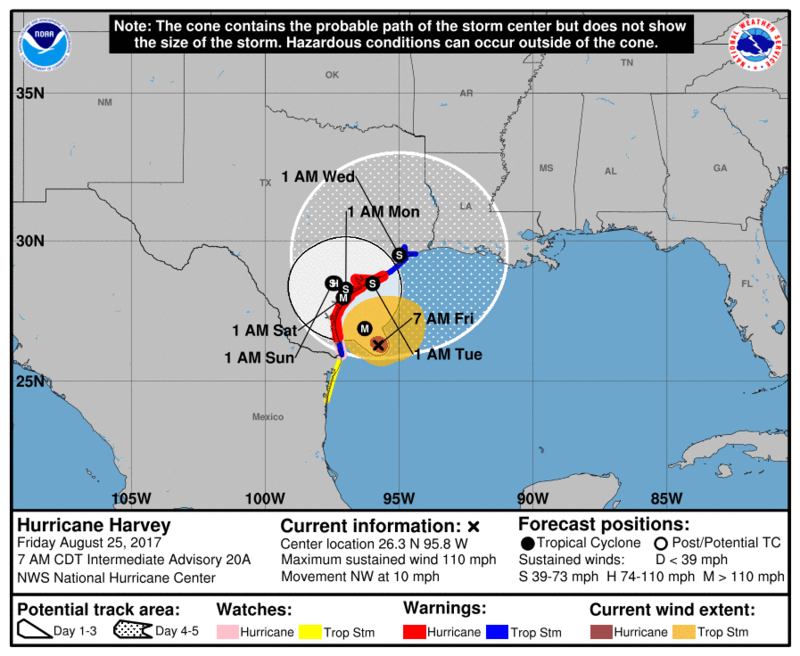 We certainly understand the impact Hurricane Harvey is having on your cruise plans. Should you wish to cancel and receive a future cruise credit, please call 1-800-CARNIVAL, contact your Personal Vacation Planner at 1-800-819-3902, or your travel agent. We continue to actively monitor the storm and will update you tomorrow at 3:00PM CDT. To stay up to date on any changes, guests are asked to sign up for text alerts by texting the codes below to CRUISE (278473). 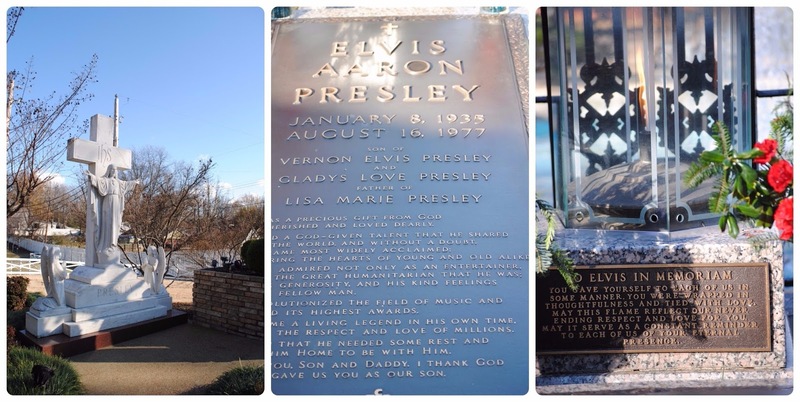 Today we mark the 40th anniversary of Elvis Presley's death and visitors have flocked to Graceland. Elvis was born to Vernon and Gladys Presley in a two-room house in Tupelo, Mississippi, on January 8, 1935. The family moved to Memphis, Tennessee, in 1948. His twin brother, Jessie Garon, was stillborn. Elvis Presley fans traditionally gather at Graceland during Elvis Week for the annual candlelight vigil. Until this year, there hasn't been a charge to file past the graves of Elvis and family members, in the memorial garden on the property. This year fans will need to purchase a wristband for $28.75 to walk up the long driveway and past the graves. Graceland told the Associated Press in a written statement that the wristband fee also provides access to a new $45 million entertainment complex at the Memphis tourist attraction. Security measures are tight for this week's festivities as huge crowds are expected. Died August 16, 1977. He was 42. These facts just scratch the surface of Elvis Presley's short but successful career. 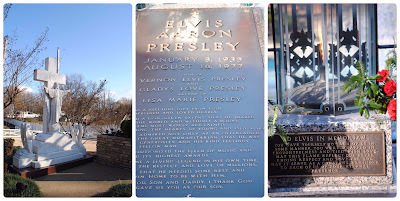 For the full Elvis Presley life story and an inside look at Elvis’ life, plan a trip to Memphis for a Graceland tour! Visitors have left their personal reflections on the wall outside the main Graceland mansion. This one seems very fitting on the anniversary of his death. He may be gone but his music lives on forever. Perhaps the hottest new destination for 2017 and beyond is Cuba. Several cruise lines offer People-to-People experiences which include overnights in Havana, Cuba. This is perhaps the best way to visit Cuba because it eliminates any fears about the country's infrastructure not supporting tourism - your ship is your oasis. 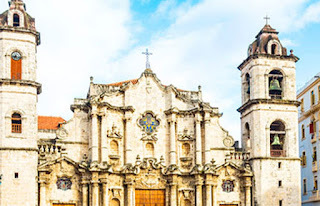 We'll use Carnival Cruise Line for the basis of this article, but we could assist you in planning a Cuban cruise experience on any line sailing there. President Donald Trump announced earlier this year he would reverse the historic thawing of relations between the U.S. and Cuba made under the Obama Administration. The new actions are aimed to once again restrict travel to Cuba and block business deals between the two countries. If you have a remote interest in visiting Cuba, then perhaps now would be the time to plan a visit before travel is once again restricted. Until the Office of Foreign Assets Control (“OFAC”) issues new regulations regarding travel to Cuba, there is no impact to Cuba sailings. Once new regulations are issued, cruise lines will notify their guests accordingly. 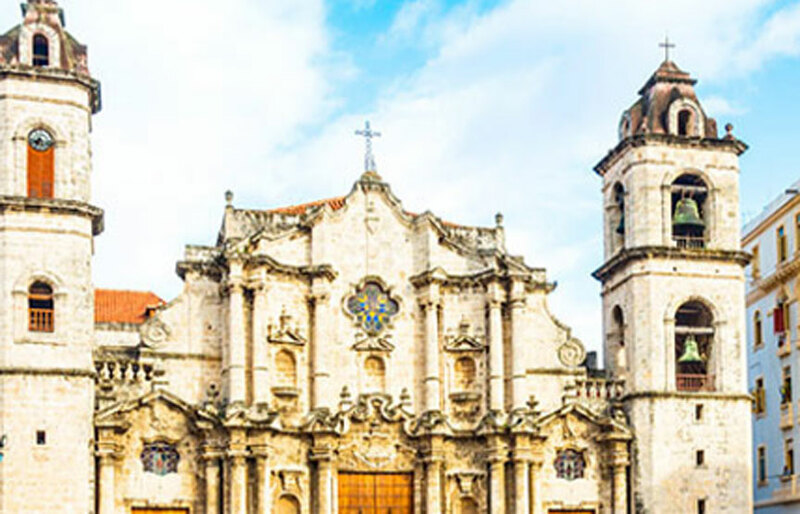 U.S. (including Cuban-born) and international guests are eligible to travel to Cuba from the U.S. if they either i) meet at least one of twelve categories of authorized travel; or ii) obtain a specific license issued by OFAC. For complete details, see the travel links below. People-to-people programs are a permitted category for U.S. guests to visit Cuba. These programs must include a full-time schedule of activities that will create educational interactions between guests and the Cuban people. Activities can include shore excursions offered by Carnival and/or guests can opt to participate in a self-guided program. However, such self-guided guests must still have a full-time schedule of authorized activities and must maintain their own records demonstrating such a full-time schedule. With a name like watermelon, one would expect it to be juicy, scrumptious and amazing. It is just that and one of my favorite fruits, especially on a cruise. Last night we Co-Hosted the Twitter chat #FoodTravelChat, where we were talking Cruise Food & Travel. I had such a great time hearing about everyone's adventures. A couple cruise lines, Celebrity Cruises & MSC Cruises dropped in to join in on the fun. Thank you for joining us with images and information about your cruise ships, food options and more. 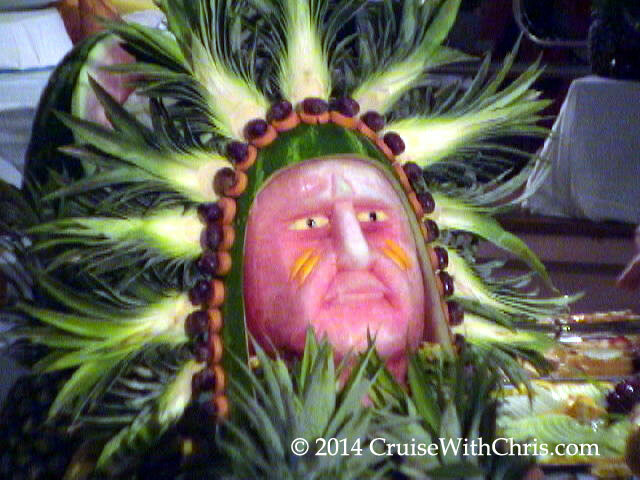 I wasn't quite ready for the fun to end, so on this #Watermelon Day 2017 I decided to browse through my cruise archives looking for watermelons which were carved and put on display for passengers' delight. Here are a sampling from our trips. Several years ago, I started the hashtag #CruiseFruitArt on Twitter and wrote a Blog post challenging people to post pictures from their cruises and vote on their favorite cruise line. 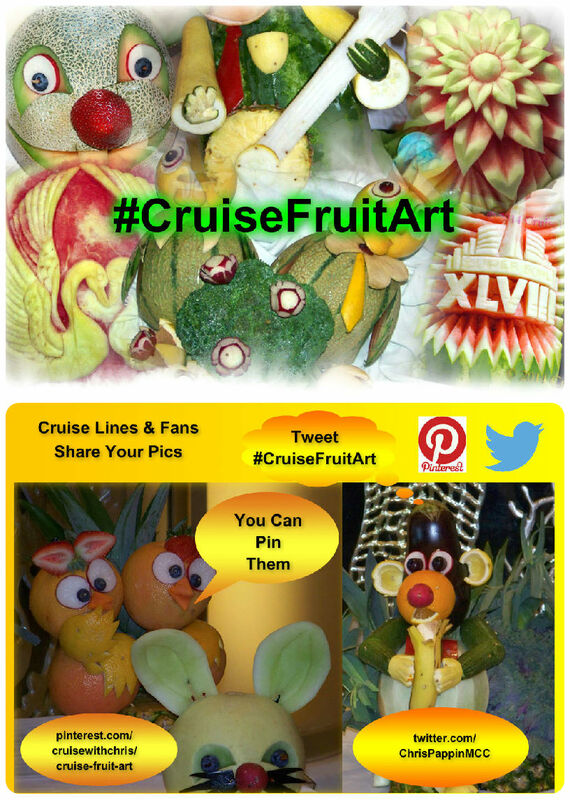 I'd love to see some new additions, so go through your archives and post some on Twitter or Pinterest using the hashtag #CruiseFruitArt. We'll retweet them. Several people mentioned that they had a good time on the chat and learned a lot about cruising. That was exactly what I had in mind when suggesting the topic to hosts of #FoodTravelChat. I'm so happy they selected the topic and asked me to Co-Host. If you missed the chat, just put in #FoodTravelChat in Twitter search and browse through the tweets. Also mark your calendars for Wednesday Evenings at 8 PM ET. We'd love to have you join in the conversation about Food & Travel. Of all the watermelon carvings I've captured in the 30 plus years of cruising, this Indian chief head from the buffet on Celebrity Millennium is my all time favorite. Do you have favorites from your cruises?